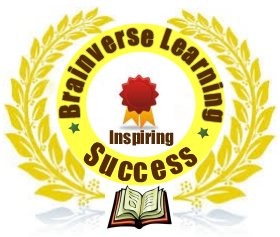 Thank you for your interest o partner with Brainverse Learning. We will be most happy to establish a connection with you so we can help each other to better our society. There are a number of ways individuals, institutions and other organisations can partner with us. We also welcome partnership with Governmental and Federal Agencies that can be of service to us, or us be of service to the. To submit to us your stories of success and career lessons to publish over time to our audience. Join in our cause by being Speakers at the occasions that we arrange, either annually, semi-annually or in any other period. Employ or offer internship programme our stakeholders ( Who are students) in their fields of study. Sponsor talks by our clients to be held in institutions. Contribute to our upcoming projects e.g. student Fee sponsoring. Institutions, e.g. High Schools, Colleges, Polytechnics, and Universities. Give us the opportunity to hold a talk in your institution. Other Organisations e.g. Kenya Home of Talent. Co-Host our programs and let us co-host your programs. Join in our mission to connect us to the officials in the organisation. Help us in procurement of assets and services. Sponsor our talks held in institutions. Give legal ascent for our officials to access various people or places. Brainverse Learning 2010 -2011 | Powered by Brainverse Learning.